The Army reporting that the mysterious death of Army Specialist Kendrick Sneed on January 13th has been solved. Tests revealed the soldier, who had just recently returned from West Africa, died from smoking a dangerous drug compound and not from Ebola. The 24 year old Sneed had just returned from deployment to West Africa helping establish treatment centers in the Ebola epidemic and when his body was found in the front yard of his apartment, fearing the worst, Hazmat teams were called in to recover his body and decontaminate a possible infectious situation. Sneed’s belongings were collected in red Hazmat bags. Breitbart Texas reported previously that Sneed returned from Liberia in early January. Soldiers returning from West Africa are supposed to be in quarantine for 21 days after returning to the U.S. Fort Hood Officials said Sneed was home on emergency leave and was “self-monitoring him twice a day and report his status to medical officials.” The Soldier’s body revealed no traces of the Ebola virus in the two tests that were administered after his death. He also was not showing any symptoms of Ebola. Another Breitbart Texas report added: About 500 Fort Hood soldiers were deployed to Liberia to help in the fight against Ebola. Those troops were part of the 36th Engineer Brigade who went to West Africa to build treatment centers as well as compounds for soldiers living quarters. A KXAN report released this week quoted the Army’s medical examiner saying that it was “Synthetic Cannabinoid intoxication”. In shirtsleeve English, it means Sneed was smoking some variation of “Spice” which has a combination of chemical compounds. Many of these combinations can cause fatal reactions depending on a person’s physical condition, and if there are alcohol or other drugs, legal or recreational that have been ingested. KXAN also quoted the Substance Abuse and Mental Health Services Administration, saying that the number of emergency department’s visits involving synthetic cannabinoids increased from 11,406 visits in 2010 to 28,531 visits in 2011. Sneed was a combat veteran having served in Operation Enduring Freedom in 2011 and 2012. He was then deployed in Operation United Assistance for three months before returning home on emergency leave, according to an Army press release obtained by Breitbart Texas. The 24-year-old Army Specialist’s awards and decorations include two Army Commendation Medals, Army Good Conduct Medal, National Defense Service Medal, Afghanistan Campaign Medal with 3 campaign stars, Global War on Terrorism Service Medal, Army Service Ribbon, Overseas Service Ribbon, NATO Medal, Combat Action Badge and Driver and Mechanics Badge. 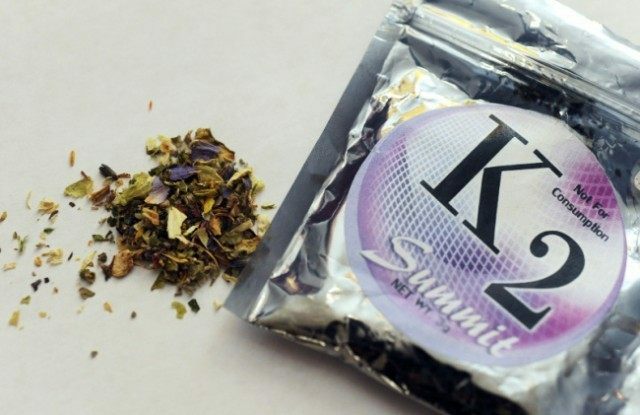 In Austin, there have been several outbreaks of poisoning by the K2 variety of spice in the past few years.